Located at 25 km south of Zurich, Zug is a small city that is hosting more than a dozen of bitcoin companies. 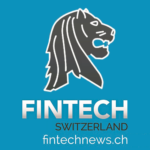 Dubbed “Crypto Valley Zug,” the city has been referred as the Silicon Valley of finance and is meant to become the global center for cryptocurrencies. In recent years, young entrepreneurs and programmers have set out to make Zug a leader in innovative technologies supporting the social and economic process of digitalization. 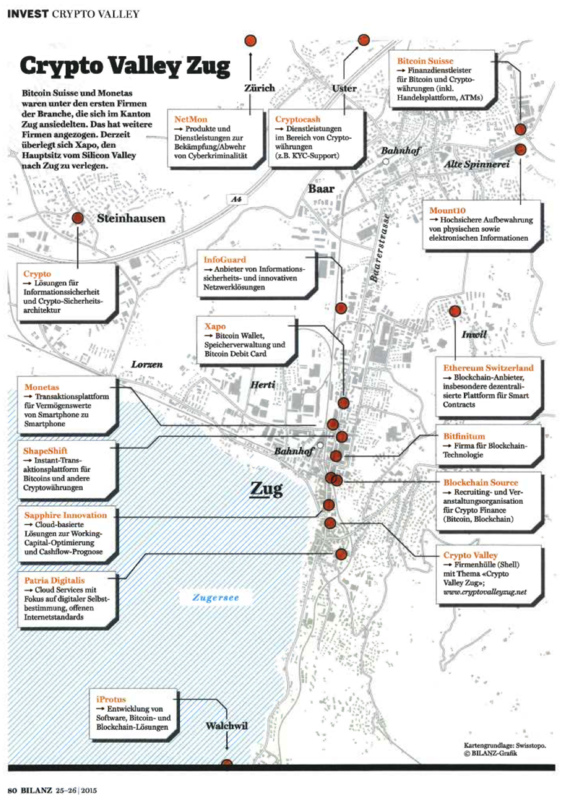 With well-educated knowledge workers, stability, excellent infrastructure, low taxes and a tradition for privacy, it comes with little surprise that a number of high-profile tech companies have chosen to settle in the business friendly Canton of Zug. The bitcoin startup scene is being fuelled by high promising projects and ventures, notably Xapo, Monetas and Ethereum Switzerland. But aside from the renowned bitcoin ventures, Zug also hosts a number of other successful and interesting businesses that you might not have heard about… yet. Patria Digitalis is a non-profit cooperative of Free Open Users (FOUs) and an Open Application Service Provider (OASP), offering members and customers digital services that are fully under control of the user and are based on a sustainable user-driven business model. The organization expects to deploy its first service in summer 2016. Founded in 2014, ShapeShift is a platform that enables immediate exchange between digital assets such as bitcoin, litecoin, dogecoin, ethereum, etc. ShapeShift pioneered the concept of an exchange without user accounts, which allows faster, more convenient liquidity for digital assets, as well as vastly improved consumer protections. The platform has over 1,000 direct trading pairs and has become the most efficient way to convert cryptocurrencies. Crypto is a company specializing in communications and information security. The company is a long-established manufacturer of encryption machines and a wide variety of cipher devices. Headquartered in Steinhausen, the company has over 200 employees and offices in Europe, Latin America, Asia, the Middle East and Africa. Blockchain Source is a blockchain consulting firm that helps companies integrate distributed ledger technology into their business. Blockchain Source is headed by a team of experts in the fields of Bitcoin, Ethereum, Colored Coins, Open Assets, Blockchain, Open Transaction, Monetas platform, Sidechains, Counterparty, Ripple, and much more. iProtus is a software company specializing in blockchain technology. iProtus undertakes software development and integration projects for clients. The company has been involved in a number of different development oriented projects in the financial field. These projects include creating architecture for internal network structures and their services; building fund accounting and reconciliation, integration multiple platforms across company acquisitions; and providing leadership and structures for improving organizational performance particularly in development-heavy organizations. InfoGuard is a company providing comprehensive information security and network solutions. Founded in 1988, InfoGuard has a team of 60 security experts working for comprehensive information security, as well as experienced auditors and consultants. The company assists clients with the architecture, design and engineering as well as with the integration and operation of ICT solutions. Mount10, a data center known as “The Swiss Fort Knox,” is a company that offers standardized data backup over the Internet into the Swiss Alps. Mount10 is part of a larger group of companies with several years of experience in the area of high secure storage of physical and digital information. Sapphire Innovation is a software-as-a-service (SaaS) company specialized in cloud-based working capital optimization and cash flow forecasting enterprise solutions. Its liquidity management solution is aimed at providing corporations with clarity, visibility, and better predictability of cash flow. Headquartered in Zug, Sapphire Innovation has offices also in Lausanne, Oslo and London.